Ms. Bryan is the holder of a Bachelor of Laws from the University of Wolverhampton in England in 2005. 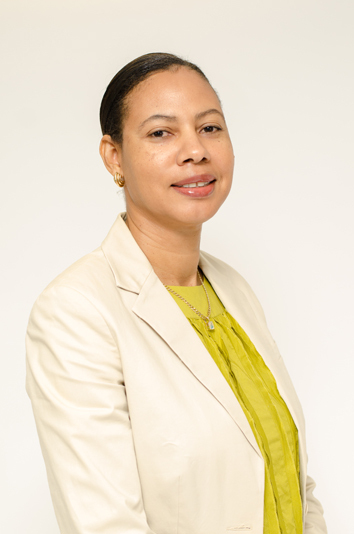 She also holds a Postgraduate Diploma in Professional Legal Services from City University in England in 2007 and a Certificate of Legal Education from the Sir Hugh Wooding Law School in Trinidad, West Indies in 2009. Prior to joining the Financial Services Commission, Ms. Bryan was an Associate Attorney at a local leading law firm in the British Virgin Islands. Ms. Bryan was called to the Bar in England and Wales (non-practicing), Anguilla, British Virgin Islands and Trinidad. Ms. Bryan also has fourteen years banking experience having worked as Credit Manager at a local commercial bank. She is also the holder of a Bachelor of Arts in Business Administration from the University of the Virgin Islands and a Master of Business Administration from St. Mary's University in Halifax, Nova Scotia.